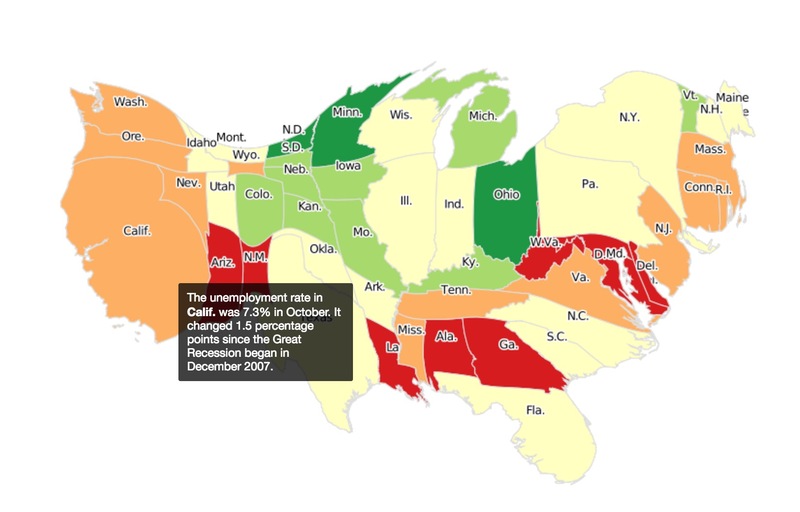 In an effort to put state-by-state unemployment figures into geographic terms, I experimented with a mapping technique known as a cartogram, or a density-equalizing map. Developed by two academics a decade ago, this particular method reshapes states (or other geographic shapes) based on a data value—in our case, labor force population—rather than their physical boundaries. Sometimes a skewed view offers greater clarity.